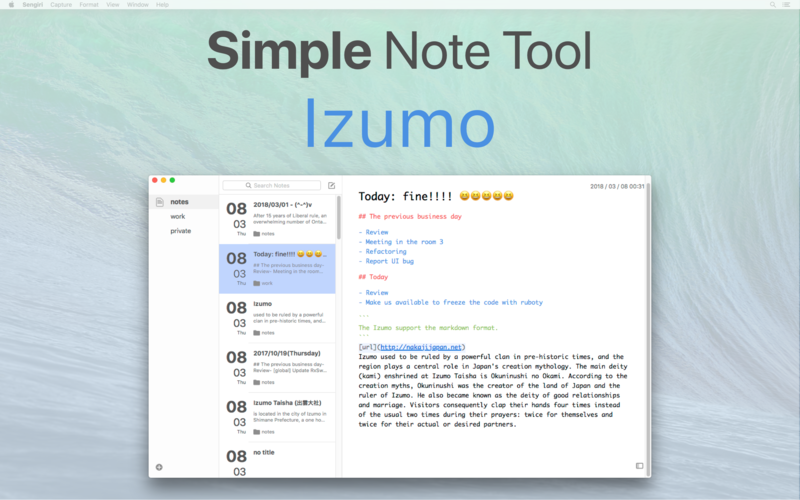 Izumo is the simple markdown note tool for markdown. - You can leave the memo. - You can organize notes with categories. 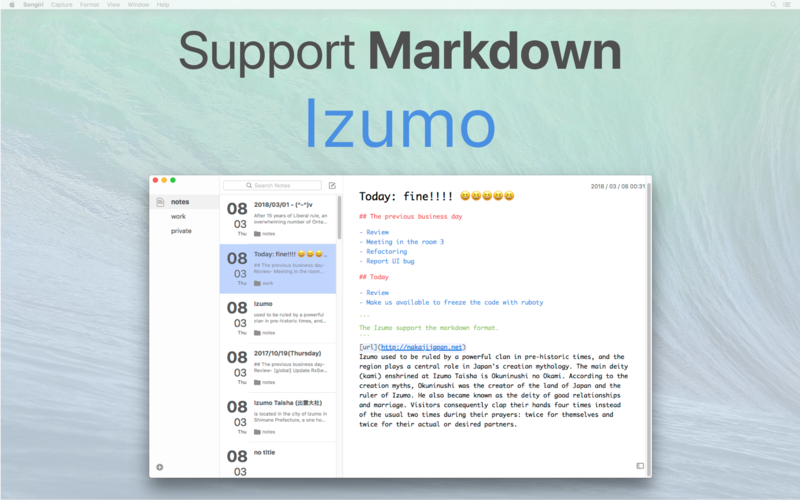 - Izumo supports the markdown style - colorize. 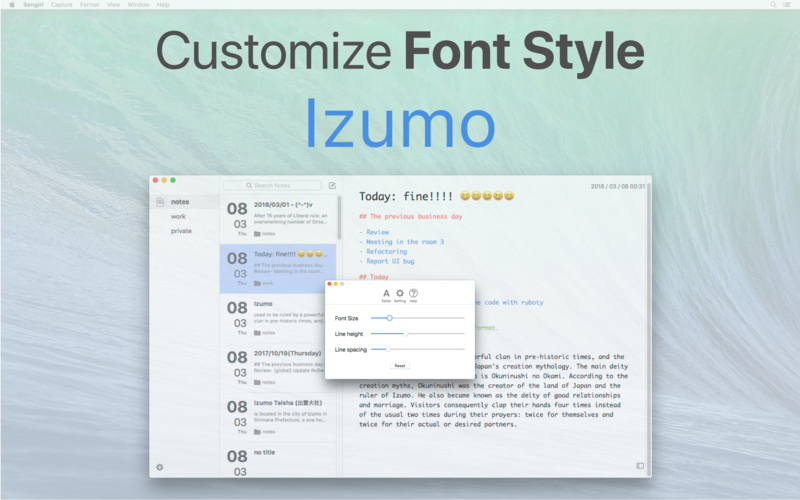 - Izumo customize the font style. - Izumo supports multi-device sync via iCloud in background. Copyright © 2018 @nakajijapan All Right Reserved.